A durable 2 oz. 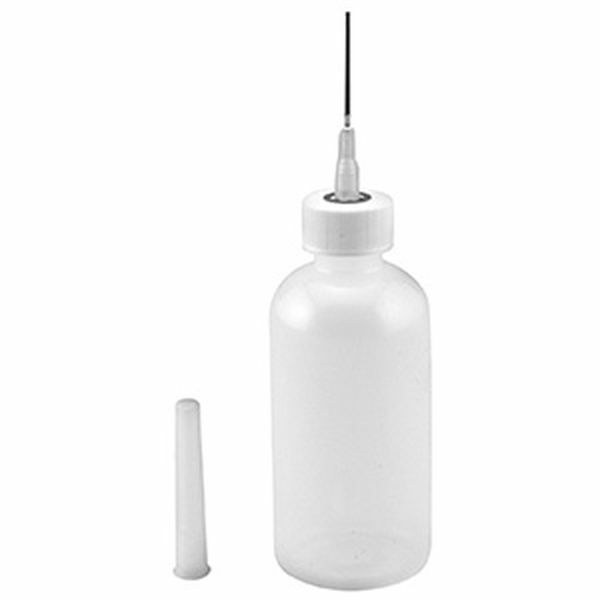 polyethylene plastic, squeeze type bottle that has a 1" long stainless steel hypodermic needle. The needle is 18 gauge measuring .049" o.d. and .033" i.d. Oiler is 5-1/2" overall and is excellent for all precision oiling of action parts or applying pin block restorer. Comes with a dust proof cap.